When: Friday-Sunday, August 4-6, 2017. Opening reception Thursday, August 3, 7-9 p.m.
Where: U.S. Mint, 400 Esplanade Ave.
With the subtropical summer mercilessly trudging on, we all need a little sugar in our bowls after the long weeks of heat, humidity, and sudden downpours. Satchmo SummerFest, the annual three-day festival held in the French Quarter, may just be the ticket for the locals and visitors alike. Easy to get to and navigate, the festival has a stellar lineup of local music (with six brass bands alone scheduled to perform), plus a great mixture of indoor-outdoor activities to keep you cool and dancing. The food offerings are heavy on po-boys, and we’re not complaining. 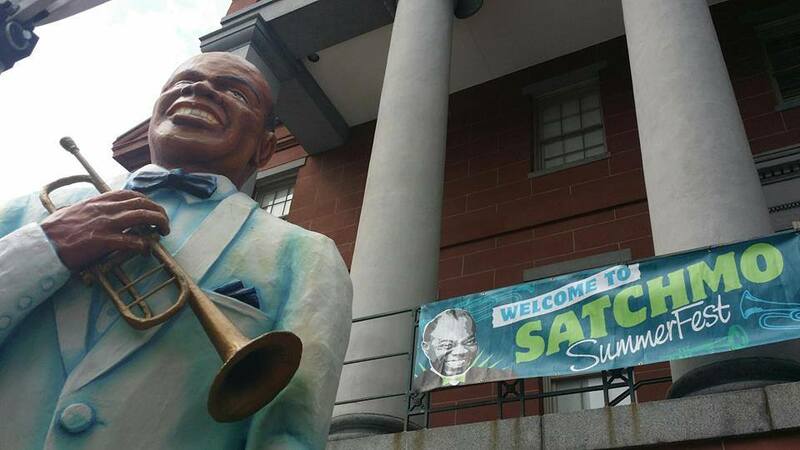 Satchmo SummerFest (named so after one of Louis Armstrong’s nicknames) started in 2001 as a tribute to one of New Orleans’ most prominent native residents on his 100th birthday. From the get-go, thousands of people turned up for this then-free event. Ever since, the festival returned every year on the first weekend of August, marked by strong attendance numbers and hailed as one of the summer highlights. Notably, the festival “comes home” to the U.S. Mint at the beginning of Esplanade Avenue, where it was held for years before switching to Jackson Square in 2016. Apparently the attendance numbers dipped first in 2015, when the $5 wristband was introduced, and then decreased further next year at the Jackson Square location. The events will include three days of music on three stages at the U.S. Mint, a Sunday morning Jazz Mass at the historic St. Augustine Church in Treme, seminars and film screenings, kid’s activities, dance lessons, and a second-line parade. For schedule and updates please check the event’s website or its Facebook page. Satchmo SummerFest will still have a $5 daily admission fee for adults; children under 12 get in free. You can get the wristband at the gate, which includes re-admittance to the U.S. Mint grounds; so that you may come and go during the festival as you please. There will be two stages outdoors: the Red Beans and Ricely Yours and Cornet Chop Suey stages, both tented and on the Mint’s grounds. The indoor Back o’ Town stage, located on the Mint’s second floor, will feature dance lessons on its dance floor. New to the lineup this year are locals Pin Stripe Brass Band, jazz vocalist and musician Nicholas Payton, and singer Stephanie Jordan. In addition, Meschiya Lake, Hot 8 Brass Band, John Boutte, Ellis Marsalis, Charmaine Neville, Kermit Ruffins & the Barbecue Swingers, and many more, are scheduled to perform. Other special events include the Satchmo Symposium, three days of jazz-centric seminars and lectures conducted by a notable roster of local musicians, songwriters, and jazz historians. 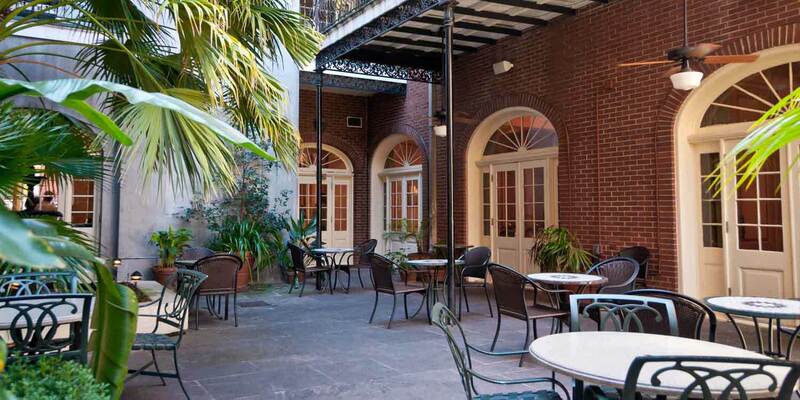 The Satchmo Symposium will be hosted on the third floor of the New Orleans Jazz Museum at the Mint. It will touch upon the many facets of Louis Armstrong’s vast legacy and the lives of some of the musicians who had worked with him throughout the years, as well as history of jazz and local history, like Storyville’s rise and fall. And then there’s the food. As in the previous years, there’s going to be a veritable feast featuring dozens of the best local restaurants as vendors. Crepes a la Cart and Praline Connection are back this year, as is Ajun Cajun, with two new po-boys — catfish and softshell crab, both served on bread from Dong Phuong bakery. Lasyone’s Meat Pie Restaurant will be selling meat, crawfish, and mushroom pies, and Vaucresson Sausage Co. will be offering three po-boys — Creole hot sausage, Creole crawfish sausage, and Creole BBQ chicken sausage. Also, don’t miss Jamaican jerk chicken from Palmer’s Cuisine and Rib Room’s debris po-boys. 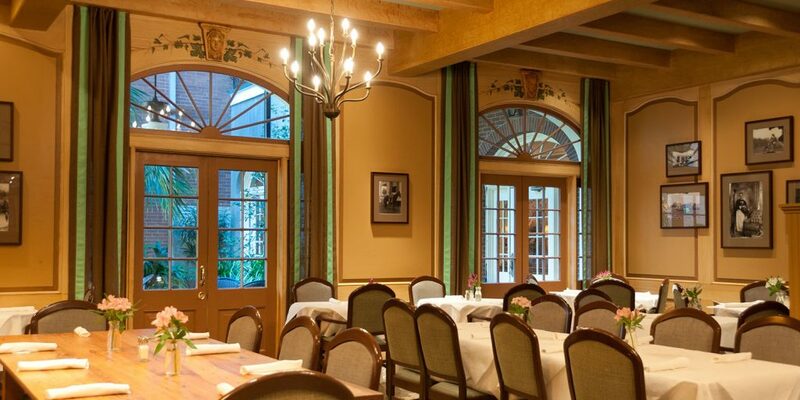 New vendors include the Company Burger and Cafe Dauphine. New Orleans Ice Cream will set up a cafe bar, plus it will be selling ice cream po-boys (vanilla or Creole cream cheese flavors). Festival staples like Abita beer, lemonade, and daiquiris stands will, of course, be there, in addition to cocktail stands selling margaritas, lemonade spiked with Jack Daniels, and — new this year — Bloody Mary singles and doubles. Plum Street Snowballs brings it in over a dozen flavors like its signature nectar cream and iced coffee cream, plus sugar-free raspberry and pink lemonade. Just add condensed milk for a $1 more. See you at the Mint!